Defence Turkey: Tekno Kauçuk has been providing solutions for the Automotive, Domestic Appliances and Defense Industry with a comprehensive product portfolio and services at your facilities in Gebze, Düzce, and Manisa. Within this context, could please you inform us about your facility, human resources, R&D infrastructure, product range, design and engineering capabilities? Our company started manufacturing various rubber products under the brand name Doğan Lastik in 1959 at 4. Levent district in Istanbul, then in 1997 it moved to its 17,500 m2 new location at Gebze Organized Industrial Zone and launched its specialization process on certain products in 2001 along with a restructuring process under the name of Tekno Kauçuk. Our company continued its growth with the addition of our facilities in Manisa in 2011 serving the Domestic Appliances sector and with the opening of our Diaphragm Product Group facilities within the TAYSAD Organized Industrial Zone serving the Heavy Vehicles group. Moreover, manufacturing of the two different product groups continue in two different plants in Mexico. In line with our ambitious vision of becoming a leading company in the technical elastomer area, Turkey’s most modern rubber mixing plant was launched in the beginning of 2017. As of today, we are performing our activities at our facilities in Turkey with our over 350 employees, working 6 days and in 3 shifts with 46 injection presses and 23 compression presses. We are maintaining our R&D activities at our Headquarters at Gebze Organized Industrial Zone with more than 20 staff members. With the help of our computer aided calculation methods (Finite Element Analysis, Multibody Dynamics, Fluid Structure Interaction Analysis), we are capable of providing product development services that fulfil the customer requirements and offer solutions for vibration/shock damping problems. Moreover, we have the sufficient infrastructure for running shock, vibration, acoustic, durability, corrosion and other environmental tests. The capacity of our testing infrastructure is at the level of providing the essential services for fulfilling the test requirements emerging in our company and the test demands of the sector. As of 2017 September, we plan to make an application according to the R&D Center law and to conduct our activities as an R&D center in 2018. We have elastomer type and wire-rope type vibration and shock isolators in our product range regarding the defense industry. In addition to this, we manufacture technical elastomer vibration isolating products for the automotive industry such as engine & transmission mounts, rubber bushings in various functions, support bearing rubbers. Besides, we produce diaphragm type products for the air brakes of the heavy commercial vehicles and door gaskets for the home appliances industry. Defence Turkey: Concerning the Defense and Marine industry, you are providing shock and vibration selection and simulation, vibration and shock isolator procurement, FAT/HAT/SAT level structural & acoustic noise measurements, analysis and simulations and environmental tests. As one of the very few companies in Turkey in this area with depth of field, you are also capable of providing design services to your business partners. What would you like to say about the capabilities making you stand out from other companies operating in your field? As Tekno Kauçuk, with the help of our know-how and experience spanning over 50 years, we incorporate rubber manufacturing and engineering solutions with our test services at our facilities. Therefore, we are experienced in our area of expertise in both implementation and theoretical aspects. We, as Tekno Kauçuk, are in charge of the performance of a product we manufacture in the digital environment, from its performance at the test and from the performance it demonstrates at the end user in the conclusion. In this way, we stand out from the companies providing only engineering services or test services. Since we experiment all processes a product will go through until it reaches the end user when manufacturing a product in the virtual environment, rather than manufacturing products that will pass the simulations or test conditions, we are designing and producing products that will provide services without causing any performance gaps throughout the life cycle at the end user and that are suitable for mass production. Running the design of the product, verifications in digital environment and at the test counter and production under a single roof makes our company stand out. Defence Turkey: Mr. Ertem, in order to technically elaborate on the services provided to the defense industry, what type of customer oriented model or solution are you using in order to cover the requirements of your clients in the defense and marine industries? We are capable of diversifying our solution facilities in accordance with the customer requirements in the defense industry. Shock and vibration is a different area of competency that requires academic information, hands-on experience and know-how. The suppliers offering services to the defense industry in our country do not usually incorporate their own expert staff regarding vibration and shock issues because this may not be quite feasible for a business model. In this case, as Tekno Kauçuk, we are capable of becoming a solution partner to our customers from A to Z. From a wider perspective; we occasionally confront problems where our customers define their vibration/shock problems verbally. In such cases, we have to examine the incident at the site and start working on it through running required measurements and identification process. After we identify the problem, we analyze it and move onto the solution providing stage. Following this stage, if required a selection is made from the vibration and shock isolator components in our catalogue or a tailor-made isolator can be developed according to the specifications identified by the customer as I mentioned previously. Finally, after the proper isolators are implemented, upon the request of our customer measurements are made again on the relevant equipment and our service is completed with the accomplishment of the reporting stage. Defence Turkey: Could you please inform us on the model implemented regarding the project based product development concept? Our customers may have special requirements depending on the application in respect to the design space environmental factors or geometry. In such cases, we are capable of developing elastomer products specific to the customers in accordance with the spring constants, displacement limits ,design space, environmental conditions required by our customers and other special requests. The product development activity starts with the building of the CAD model of the concept based on the special requests of the customers and the determination of the proper material. The required rubber formulas in accordance with the environmental and functional requirements are developed and verified within the facilities of our company. Then the verification of the models created in the digital environment begins. This stage iteratively continues until we reach the geometries that are capable of fulfiling the requests of the customers within the required tolerances. As the suitable geometries and compatible product features are achieved, the prototype manufacturing starts and the function of the part in question is verified at the testing counters. Defence Turkey: You have been providing testing services to numerous companies operating in the defense industry with the Shock and Vibration Testing Center that was inaugurated in 2013. Could you please inform us on the programs conducted at this center as well as the capabilities of the center? With our Techno Kauçuk Shock and Vibration Testing Center, we provide services to the defense and automotive industries. We can point to the medium weight shock test machine in line with the MIL-S-901 D standard as a capability features at our Test Center. This device is the test device that exists in a limited number of countries in Europe and it remains only in our laboratory in Turkey. With the help of this test device, the resistance of all types of equipment that will be used in the battleships that navigate in minefields, against the underwater mine explosions could be tested in line with the MIL-S-901-D standard. The verification of the shock resistance criteria of the equipment through digital methods is a very tough method which does not provide accurate results. Also, testing the equipment that may contain confidential data in foreign countries is not possible. Therefore, by launching the medium weight shock test machine in our country, we wished to fulfil our responsibility regarding ensuring the combat power of the battleships and all types of equipment that will enter the inventory of our navy in minefields. At the same time, we achieved the international validity of the reports we prepare by acquiring accreditation in compliance with the MIL-S-901-D standard. In this way, the equipment suppliers providing services to the defense industry are able to promote their products to the international market by acquiring the certification with the shock resistance. Other than our medium weight shock test machine, we provide testing services through our shaker in areas related with shock and vibration, accredited in MIL STD 810 F and G standards. In addition to this standard, we are capable of providing services regarding shock and vibration tests related with electronics, aviation and space as well. With our hydraulic pistons that vary between 50kN and 650kN, we are able to provide services to the defense, automotive, aerospace and rail transport system industries regarding static and dynamic characterization and fatigue tests, elastomer parts being in the first place. 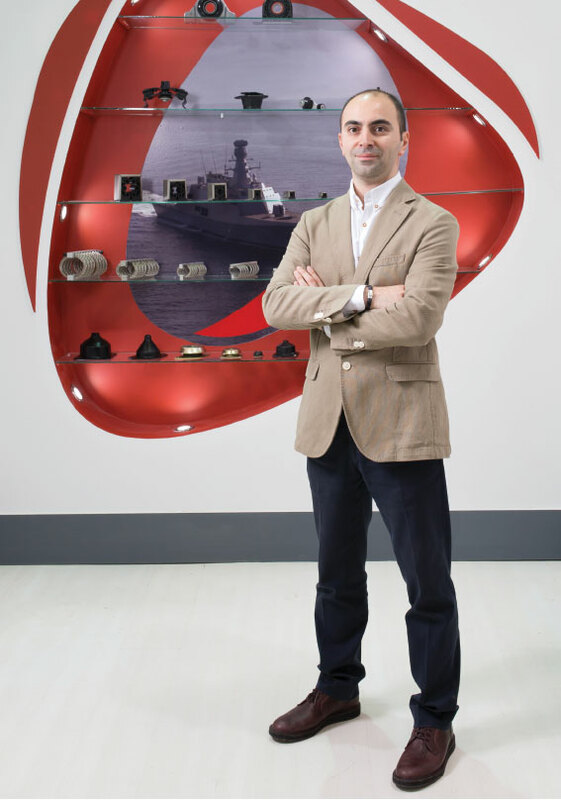 Defence Turkey: Mr. Ertem, your company possess striking design and engineering capabilities. Moreover, you are a notable engineering company in Turkey. Within this framework, what would you like to say about your existence in the foreign markets and your collaborations with foreign partners? Tekno-RC JV Company was established in Mexico in 2015, we made our footprint bolder in the North American market with this JV Company. As part of this Joint Venture, we commenced to provide services to our customers in Mexico and the United States of America by executing the R&D and product development activities at our center in Turkey. Manufacturing at our facilities in Mexico provided us great advantages in respect to localization and being close to the markets and we went through a trend of rapid growth. Defence Turkey: Mr. Ertem, as Tekno Kauçuk you have been making an important investment in R&D. In this respect, what would you like to say about your design and engineering capabilities as well as the R&D and infrastructure investments planned to be made within this context? We had huge requests regarding the shock and vibration tests when we launched providing our services. To this end, in accordance with the industrial requirements, we plan to make investments in order to enhance our capacity in both quantity and quality regarding the shakers and hydraulic pistons in various capacities, shock and vibration tests and characterization and fatigue tests. In addition to the aforesaid investments, we are enhancing our existing capacity regarding the heat and humidity aging tests through the climatic cabin investment. 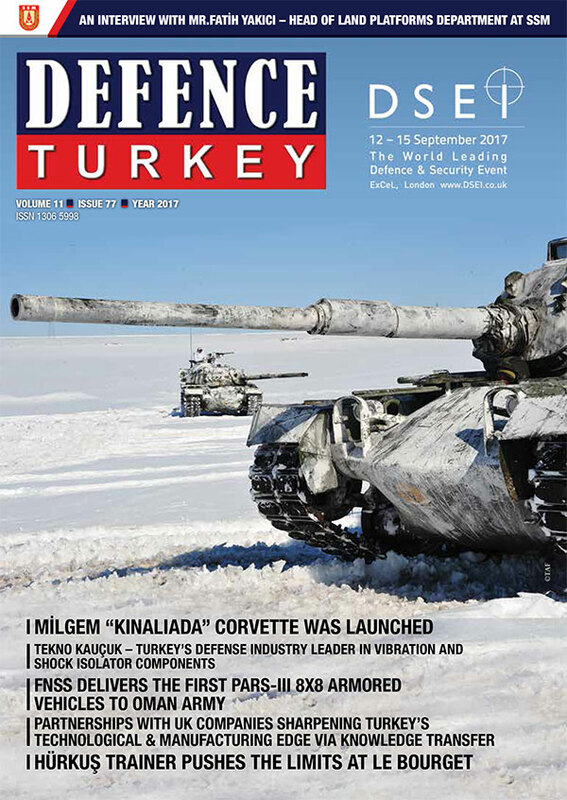 Defence Turkey: Where is Tekno Kauçuk positioned for the next decade, especially in the defense industry? Tekno Kauçuk is the very first company that comes to mind in Turkey regarding shock and vibration. Our most important goal is sustaining our recognition and customer satisfaction in this area. We aim to fully fulfil the expectations of our local customers in accordance with the international standards within the scope of production, test and engineering services in the defense industry area. Similar with the success we reached in the automotive sector, another significant goal of our company is to make its mark permanently in the supplier portfolios of the international companies in defense industry and thus increase our market share. Defence Turkey: Lastly, is there any message you would like to convey to the readers of Defence Turkey?